This week I went to Manchester to speak at O2’s first Marketing Matters event, which was attended by key contacts from the brand’s top 50 partners that sell to and manage business customers. The group had asked for input on social, since they highlighted this as the most important aspect of their marketing plans for the next year. This is interesting in itself, but hardly surprising. What was heartening however, was that my session covered social customer service. This is something we’ve covered steadily since last April, with pitches now regularly heading our way full of research into its growth. In my experience, when that happens, it means that marketing teams have realised that they can get some PR mileage from a study into this ‘new trend’ – and that means a trend has become more than that. It means it’s actually happening. I’ve turned my deck into a best practice checklist, with supporting research, context and case studies at the end. Companies have rushed to embrace social media marketing. I’ve added ‘marketing’ to that phrase because that’s usually the way it’s framed when I hear people talk about the subject. You’ve probably all heard the spiel about social being two-way, ‘having a conversation’, ‘being human’ and such. But when most sessions I attend at conferences start with that sentiment, people then go on to talk about social within a marketing context. What a brand can get out of it, how a brand can promote itself and push its products – everything’s about benefiting the business. Social customer service flips this on its head, what I’m going to do is talk to you about customer care and why this is the year this will become something more than a ‘nice to have’. It’s expected. People are out there, talking and complaining, and if you continue to leave them hanging – they’ll get snapped up by a competitor that’s proactively monitoring mentios of your brand name. This piece will initially hammer you with stats to support this, but at the same time arm you with data to get buy-in from the rest of your organisation. “The UK’s top 25 retailers have plenty of room for improvement in their social media and customer service strategies, with just 25% of those with a Twitter presence responding to customer questions through this channel. “More than half of company respondents (52%) say their organisations use Facebook for reacting to customer issues and inquiries compared to only 29% last year. Similarly, 50% of companies now use Twitter for customer service, compared to only 35% in 2010. “15% of 16-24 year olds prefer to interact with customer service on social media over any other method, compared to 8% of 25-34 year olds and 3% of 35-44 year olds. …with the fact that as Generation Y grows up, turning to social for customer care will increasingly become the norm. comScore reports that ‘Millennials’ (those born between 1981 and 2000) now control $170bn in the US alone. It’s time for brands to take note. It is clear that many companies still have a lot to learn. Referring again to our State of Social study from November, apart from use of Twitter, less than a third of companies say they are ‘doing well‘ at a range of social media-related activities, including listening and monitoring, engaging customers in dialogue, having a content strategy and working with bloggers and influencers. Brands are actively recruiting customers into online communities to help them develop products, give feedback and report issues. Social media lets brands be very proactive in customer service. Advances in customer segmentation and geo-targeting on social media are likely to define social customer service in 2012. How could this develop over the next year? More brands creating specific customer service communities, to resolve disputes away from their main social channels. Greater use of apps to address specific issues for customers. Greater integration of technologies (such as P2P) to support customer service and ‘self-serve’ customer communities. Simpler segmentation on Facebook and Twitter (learning from Google Plus). Advances in monitoring and geo-targeting to allow brands to respond quickly and locally to resolve customer issues. Twelpforce is a Twitter-based customer service platform. Anyone can tweet a question, and Best Buy’s 2,000 strong retail team are standing by with answers on tap. It’s a few years old, but it’s still the best example of disseminating customer care across a business on a large scale. Your people know your business inside and out, and with appropriate procedures, training and guidelines – they can be your biggest advocates. Twelpforce now receives hundreds of tweets every day and Best Buy claims to have reduced complaints by over 20% (that’s a lot more happy customers). Back in November, ASOS offered its customers a 15 minute ‘Style Session’ via Skype. Stylists were on hand to give advice and answer fashion-related queries, with customers given an hour timeslot between 7-10pm on Wednesday 23rd November in which their Skype call would be held. The key aspect of this is that ASOS does its research. It knows the that its customers are largely socially-savvy, technically aware – and time poor. With very little investment, they ran this as an experiment – and have created a surge of goodwill towards the brand online. It leveraged a huge following on Facebook into a successful f-commerce offering in 2010, and this example is just another case of the retailer creating something really valuable for its customers based on existing user behaviour. Often heralded as the poster child of good customer service, CEO Tony Hseih says that the company is a customer service business that just happens to sell shoes. 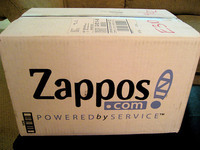 While shipping costs are often the bane of online retailers, Zappos has thrived, not only by offering free shipping – but by offering free return shipping as well. Obviously, shipping is expensive, but by subsidising product returns, the company has removed the risk of buying shoes online. People are more comfortable about buying the unknown, and this only fuels people to talk about the experience online as a result. Though this isn’t neccessarily a directly social component of the business, here we see that footing the bill can often be well worth the investment. When we asked our Twitter followers for examples of brands carrying out great social customer service, Schuh was a name that came up time and time again. On top of a great conversational tone, one of Schuh’s most successful traits is its proactive outreach. It doesn’t just respond – it looks for those with problems and reaches out to them. The benefit of this is that it’s much more than just one on one outreach, since it’s in the open waters of Twitter. The same is true of many other feeds, including @O2, @firstdirectcare and @BTcare. giffgaff’s model is different. The business operates 100% online, with no retail distribution, no big budget advertising, and no sprawling call centres. Its customers (known as giffgaffers) get all the information they need from a growing user-generated pool of knowledge within its community, which over 20% of them also contribute to. They’re incentivised with free minutes, texts, data and even cash. giffgaff has a Net Promoter score in the mid 70s, on par with some of the largest internet and consumer goods companies. Overall customer satisfaction is at an incredible 91%, not only amazing for a telecom, but for any organisation. Members asked over 10,000 questions in the Help forums in 2010, and the community responded with over 100,000 answers. 100% of the questions were answered by the community. Average response time for questions is within just three minutes (24/7) – with an amazing 95% of queries answered within 60 minutes. first direct, as many of us already know, leads the way in terms of customer service. It has the best track record and reputation for doing so in the UK by a long way. Across all of its social customer service channels, one thing rings clear over any other – ultimate transparency. This was the driver for the creation of first direct labs, and it’s the same case on Twitter and Facebook. Sometimes just being clear about future plans, or saying no, is enough. People really do respect being told the truth – even by a brand. Dell famously attributes numerical vales to its social media activity, but from a customer service perspective there are two key things it does that stand out as shining examples of best practice. First up, the brand divides up its profiles very specifically, according to location, type of help needed and product. There are over a hundred Twitter feeds, and all are clearly signposted from Dell’s main website. If you’re going to invest in creating and manning social channels, it’s important to let people know where to find them – and a website is still the first port of call. Additionally, the $6.5m Dell says it made from Twitter (in 2009, so most definitely more by now) is not just about trackable sales links and customer retention, it’s also about research and development (R&D). There’s huge overlap between providing customers with a voice, and making them feel heard – a classic part of customer care – and R&D. Dell’s Ideastorm is the sweet meeting of those two minds. Here Dell provides a place for customers to make suggestions or leave feedback, with a promote/demote system to let the community decide which are the most valuable. Dell staff then leave update reports on the status of the most popular, while regularly contributing to discussions on the site. RIM runs its Blackberry Twitter feed in an unusual way: it provides private support via DM, which goes against most rules of best practice. You only get the benefit of taking to one person instead of the wider exposure of a public tweet. By then again, it’s more personal. And people really seem to like it. The team also, unusually, includes pictures of the people ‘manning’ the profile. Many put initials against tweets, but these guys add a face. A few of the examples above show brands build a community, but there are few as comprehensive as Amex’s offering for its small business customers. BT’s Tradespace is another one. In both cases, the brands have created a wholly-owned space for its customers to interact with each other on, and to feed them with training and education on topics relevant to their day to day business lives. For many, Facebook will always be the realm of the personal, Twitter doesn’t provide enough detail, and LinkedIn is too formulaic. So even though creating a community from scratch isn’t always easy (or appropriate) it’s often extremely successful in a B2B context. If you’re finally building a website for your company then the chances are you’re doing it on a budget, but there are hundreds of useful free resources out there to help. 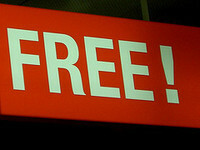 From free images on Flickr to free analysis from Google, here are the best freebies to help you build your site, fill it with attractive content and climb the SERPs. More than two years of Twitter data has been made available to marketers through social data platform DataSift. Data doesn’t come much bigger than the estimated 250m tweets that users fire off every day, and Datasift’s cloud-computing platform hosts more than half a petabyte of historical information dating back to January 2010.